Further to our report on the revised proposals for the Stourton Park & Ride Scheme, a consultation event has been organised for this Thursday (12 July 2018). The drop in consultation event will take place at West Grange Church off Belle Isle Road (behind the sorting office) from 5-8pm. Officers will be on hand to explain the plans and answer questions. 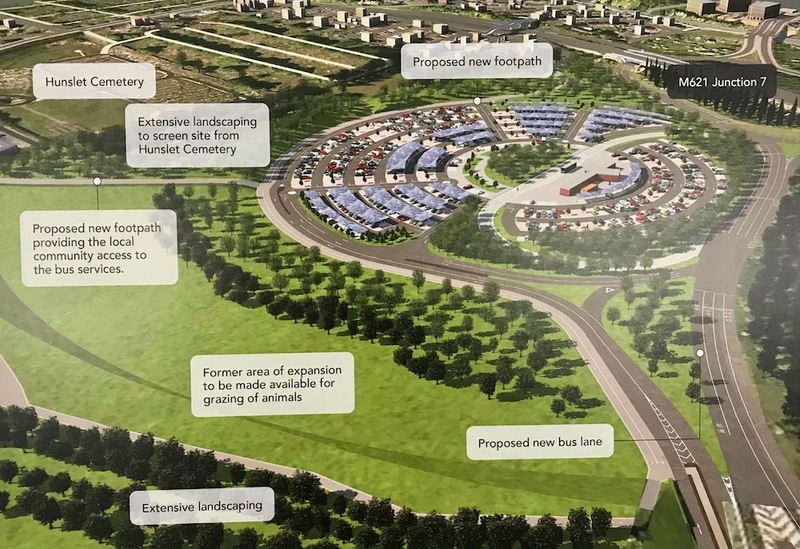 The Stop Stourton Park & Ride Campaign is not impressed with the revised plans and spokesperson Mary Spencer told South leeds life “The fight goes on.” They also criticised Leeds City Council for giving residents short notice of the consultation event. We understand letters were sent to 2,500 residents late last week. As we have previously reported, the campaign against the scheme has focused on the disturbance to Hunslet Cemetery and the loss of green space.